Little Crum Creek Service - Trinity families join together for a service in the park as we bid farewell to summer and look forward to the coming program year. The service is a joyful and informal celebration outdoors, with a picnic following. St Francis blessing of the animals - To celebrate the Feast of St. Francis in early October, the 9:15 service takes place outdoors. 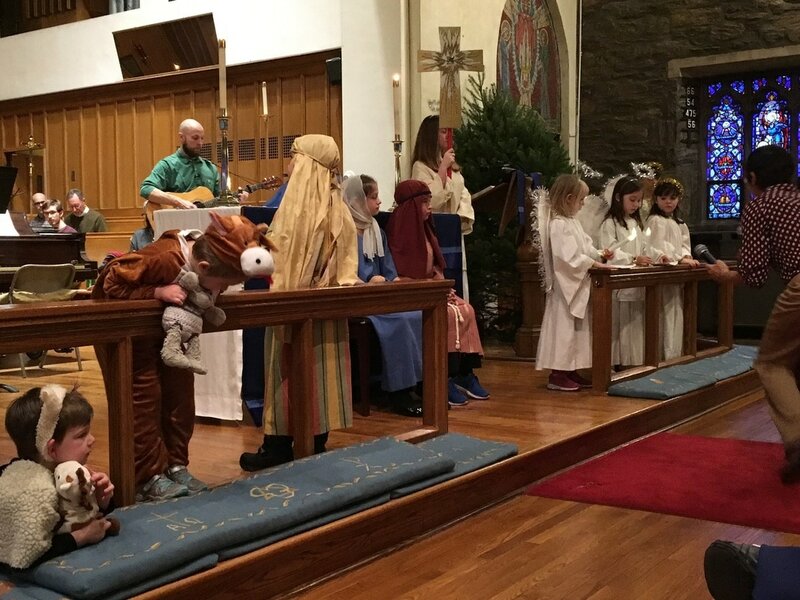 Eucharist and pet blessing take place simultaneously - with the parade of feathered, furred and finned family members around the altar. 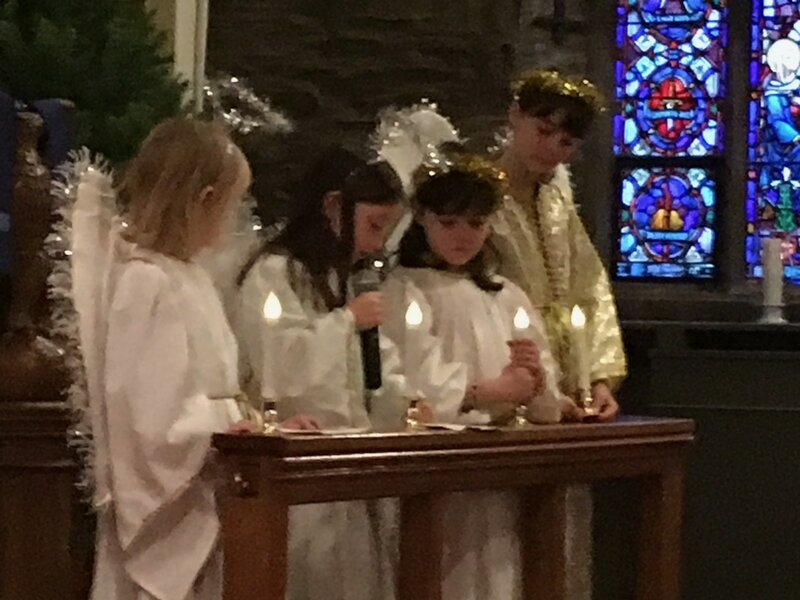 The Christmas Pageant - Our children and youth work through out Advent to present the story of the Nativity in drama, music and dance during the 5:00 pm service on Christmas Eve. 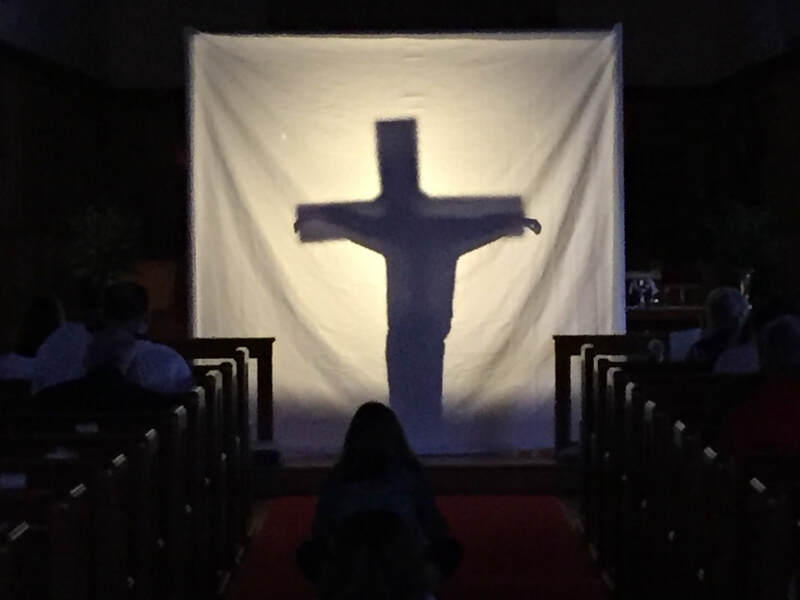 The Stations of the Cross - On the last Sunday of Lent, our youth perform a shadow play that enacts the stations of the cross with narration and simple music by youth musicians. The Liturgical Breakfast - The final Sunday of the church school year is celebrated by all our families in a combined liturgy and breakfast in parish hall, with children and youth taking parts of music, readers, prayers, and homilists. Rite 13- Each year in June, we celebrate those members of our youth who have turned 13 in the preceding year with a liturgy that marks the journey toward adulthood in the life of faith. The youth themselves read and interpret the scriptures of the day, and stand with their families as they receive a special blessing..